The ad comes two weeks after the Dutchess County executivie unveiled his own television ad blasting Cuomo about corruption-related convictions of former top advisers. Tuesday's Cuomo ad prompted Molinaro to call the Democratic governor a “classless buffoon," while posting a response here on Facebook. 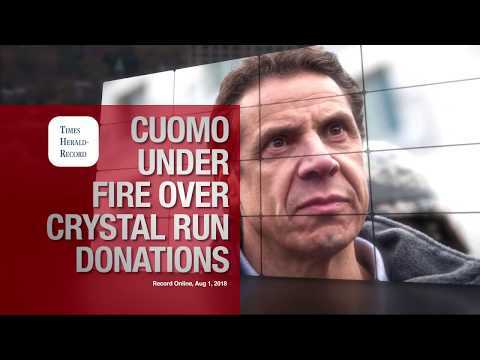 The 30-second Cuomo ad, which is running on television statewide, accused Molinaro of accepting more than $5,000 in donations tied to Tinkelman Brothers Development Corp., a construction company that hired Molinaro’s wife, Corinne Adams, and was awarded county contracts and hundreds of thousands of dollars in tax breaks. Molinaro responded on Facebook: "My six-month pregnant wife is out of your league. You want to pick a fight, stick with me. . . . She's a class act. You're not." Molinaro, in an interview reported here by the Daily News, fumed about the inclusion of his wife in Cuomo's campaign ad , saying she made only $27,000 a year with Tinkleman as a marketing director and left the company earlier this year when she became pregnant. Molinaro said his wife already cares for their three children, including coordinating developmental disability services for one of them. “He is a classless buffoon who chooses to attack a woman who is six months pregnant and no longer works at the company he is referring to,” Molinaro said of Cuomo. Molinaro's earlier TV ad titled "Guilty" focused on federal corruption charges of former Cuomo top aide and confidant Joseph Percoco of South Salem -- as reported here by Daily Voice - - and Alain Kaloyeros, who oversaw the governor’s Upstate economic development plan, and the guilty plea of ex-Cuomo associate Todd Howe. The general election isn't until Nov. 6, and Cuomo still faces a Democratic primary election on Sept. 13 against actor-turned-political activist Cynthia Nixon of Manhattan.